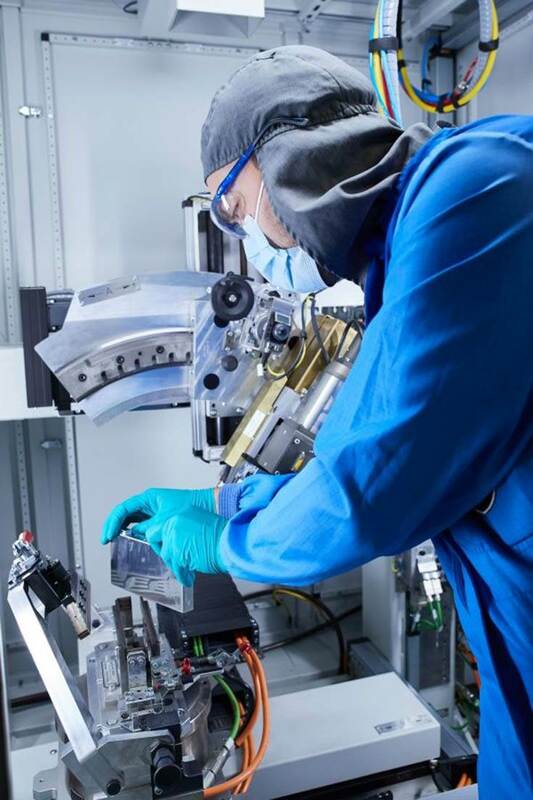 Production of prototypes of future battery cells, focusing on cell chemistry, cell design and build-to-print expertise. The BMW Group, Northvolt and Umicore have formed a joint technology consortium to work closely together on the continued development of a complete and sustainable value chain for battery cells for electrified vehicles in Europe. The project is seeking to press ahead with the sustainable industrialisation of battery cells in Europe and the associated acquisition of skills, from cell chemistry and development through to production and ultimately recycling. The development activities of the pan-European consortium will help to create high-tech jobs, thereby fully supports the EU Battery Alliance, founded by European Commissioner Maroš Šefčovič. The chief objective is to make battery cells sustainable by establishing a closed lifecycle loop. This starts with a recyclable cell design and continues with a manufacturing process that mostly uses renewable energy. The next step is a long period of primary use as a drive battery, possibly followed by another phase of secondary use as a stationary energy storage device. At the end of its life cycle, the cell is recycled and the raw materials reused, thereby completing the loop. In view of the growing numbers of electrified vehicles, establishing a broad basis for procuring battery cells is becoming a matter of greater strategic significance for manufacturers. With Northvolt as a partner focused on sustainable production and the BMW Group in its capacity as a carmaker that is already developing its own battery cells today, this can be achieved to great effect. Because battery cells contain essential resources and materials, feeding these back into the loop becomes more and more important as electric vehicles multiply in number. As Umicore is a global leader in the development and production of active materials for battery cells and resource recycling and the BMW Group boasts considerable expertise in material and cell design, there are high hopes for some major achievements in this area too. Sustainability and efficiency are both crucial factors for Umicore. In order to accelerate the development of battery cells and make further progress in terms of cell chemistry and cell design, the BMW Group’s new battery cell centre of excellence will be inaugurated in mid-2019. Besides battery cell development, other key skills will be pooled there too, from the production of battery cell prototypes to build-to-print expertise. BMW Group says this is important as a way of endowing potential suppliers for cell production with the necessary skills to meet its own requirements. The Group is already investing heavily in the entire value chain today to ensure sustainability. Consequently, ensuring that raw materials come from environmentally and socially responsible sources, obliging cell suppliers to reduce their carbon footprint, using recycled materials, and creating battery concepts that can be serviced and easily recycled. The BMW Group and Northvolt have been collaborating for some time now as part of a strategic technology project. The collaboration will leverage the capabilities of Northvolt Labs, a scale-up line and research facility which will be used to test and industrialise battery cells before large-scale production, with the aim of developing cutting-edge green battery cells. The collaboration has been supported by BMW Group through an investment to enable the initial phase of the partnership. Sustainability is at the core of Northvolt’s business and its ambition is to become one of the first fully circular industrial companies. This is why all the electrical power for its future production of battery cells originates from renewable resources. ”BMW and Northvolt have a shared commitment to reduce CO2 emissions from transportation. As batteries are becoming a key strategic question for car manufacturers, this partnership does not only mark a key milestone for Northvolt, it also highlights the importance of sustainable battery cells in the coming wave of electrification,” said Peter Carlsson, co-founder and CEO, Northvolt. Umicore is the partner responsible for active anode and cathode materials development and recycling in the technology alliance. This collaboration will enable innovative and highly efficient production technologies to be applied to the production of active materials based on recycled metals. In addition, this project covers smart battery pack disassembly, screening for reutilisation of the battery cells and feeding the recycled resources back into active material production. As electric mobility continues to expand, growing needs will not be limited to sustainable extraction of raw materials – recovering materials that have already been used will also become increasingly important in easing the burden on raw material production. ”It is rewarding to see that Umicore’s product technologies and recycling services are key enablers for this technology alliance with BMW and Northvolt. By jointly demonstrating a closed loop for high performance, green and EU-based batteries, we are underlining the future potential and importance of a European supply chain for the success of car electrification in the region," said Marc Grynberg, CEO of Umicore. 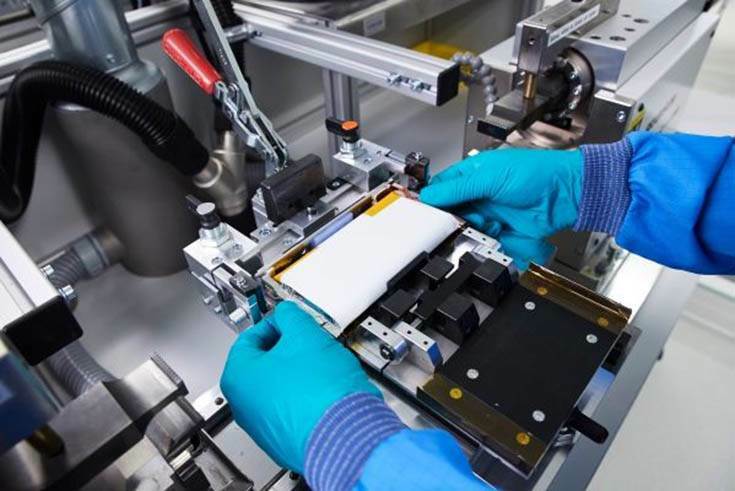 With this particular technology project, the BMW Group, Northvolt and Umicore are laying the basis for a sustainable value chain for automotive battery cells in Europe, from development and production right through to recycling.